An offering of world class music in one of America's unique cities, Eureka Springs is truly a destination of culture, art and musical entertainment. The festival is set in a true Victorian landscape. 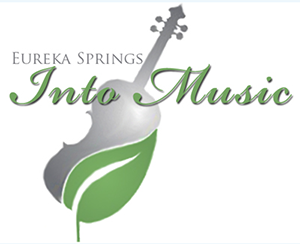 The Eureka Springs Into Music festival is designed to be a highly entertaining and educational week of classical music. While there will be two major performances at the City Auditorium, several smaller venues are planned throughout the city to offer an intimate, up-close experience. Sara Sant'Ambrogio will be the featured solo artist. She will be accompanied by pianist Robert Koenig. Also scheduled to perform is the Eroica Trio. As part of the performance activity, Sara Sant'Ambrogio will be working with local schools for workshops in their music programs. This will be an exciting opportunity for students.